Kenny’s hiring philosophy is the same that I used at WCATY and I endorse her learning philosophy 100%. In hiring our WCATY teachers, we used three criteria: they had to be excellent in their field; they had to have a passion for that field, and they had to want to pass that passion on to their students. 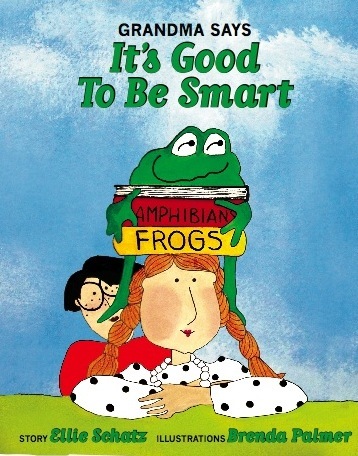 I think some people perceive that because I have written a book for young children that emphasizes the importance of being smart I put less value on character. This is far from the truth. If you read “Grandma Says,” all the qualities mentioned by Kenny are in some way described or implied: a passion for learning, the love of reading, being good to the world, sharing with others, and in Kenny’s terminology, a “sophisticated intellect.” Being smart includes respecting and developing one’s own and other’s curiosity, creative thinking, critical thinking, independent questioning, exploration, and problem solving. I agree with Kenny that every child, from an early age, at home and at school, should grow up knowing that learning is cool – something they CAN do with great joy! Grit, persistence, or the understanding that success involves hard work is the one quality that I may not have emphasized to the degree some would prefer in my children’s book. It will be addressed up front in the next – because children do need to understand that practice and careful attention to the tasks at hand are among the keys to learning. Although Kenny didn’t talk about this in the Herbert interview either, I suspect she considers it a part of the “sophisticated intellect” as do I. This entry was posted in Compassion and respect, Core elements of learning and being smart, Early Learning, Excellence in education, Grandma Says It's Good to Be Smart, Growing up smart, Passion for a field of learning, Passion in teaching and learning, school models, Smart is cool, The chance to learn and tagged academically minded, becoming good at something difficult, caring about ideas, learning to read, life-long learning, passionate learners, passionate teachers, raising smart children, respect for self and others, self-confidence comes with accomplishment, smartness across diverse populations. Bookmark the permalink.